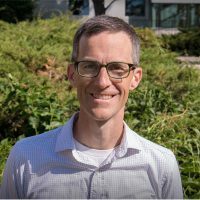 Graeme’s research focuses on comparative environmental politics and policy, global environmental governance, and the rise of private governance and authority. Much of his work examines the formation, evolution, and impacts of non-state and hybrid forms of global governance across economic sectors. He also researches the design and efficacy of policy aimed at tackling global problems such as climate change. I grew up in BC and attended UBC in the early 1990s, just as disputes over logging coastal BC forests were capturing national and international attention. The conflict grabbed my interest. I was left pondering the causes of what appeared to be an intractable disagreement over how resources ought to be managed and protected. In the years since, I’ve studied the politics surrounding the use, management, and conservation of resources and the environment across geographic scales. I have paid particular attention to the rise of private certification programs – initiatives like fairtrade – that set standards for responsible business practice and award compliant companies with reputational or market benefits. Where have these initiatives come from? How do they work? Why do companies adhere to their rules? How do they establish their authority and legitimacy? What problems are they likely to solve? I use qualitative and quantitative data and methods to study these kinds of questions, with the aim of understanding how private governance compares to traditional forms of public policy, how the two interact, and what all of this might mean for attempts to govern our collective human footprint. Graeme Auld, 2014 Constructing Private Governance: The Rise and Evolution of Forest, Coffee, and Fisheries Certification, Yale University Press: New Haven. Graeme Auld, Benjamin Cashore, and Stefan Renckens, 2013. “Governance Components in Private Regulation: Implications for Legitimacy, Authority and Effectiveness” in N. Kanie, S. Andresen, and P.M. Haas (eds) Improving Global Environmental Governance: Best and Worst Practices for Improving International Climate Change Governance, pp 152-174. Routledge: London. Graeme Auld and Lars H. Gulbrandsen, 2013. “Private Regulation in Global Environmental Governance” in R. Falkner (ed) Handbook of Global Climate and Environmental Policy. Wiley-Blackwell Press: Oxford. Awarded by the American Political Science Association for the best book on environmental politics and policy for Constructing Private Governance: The Rise and Evolution of Forest, Coffee, and Fisheries Certification, Yale University Press, 2014. Awarded by the American Political Science Association in recognition of a researcher, within ten years of their PhD degree, who is making notable contributions to the field of science, technology, and environmental politics.